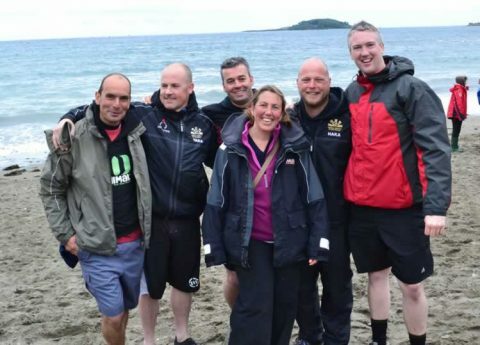 FMPGC crews all did well at Looe Regatta this weekend; with Ladies A and Ladies B both winning their heats. 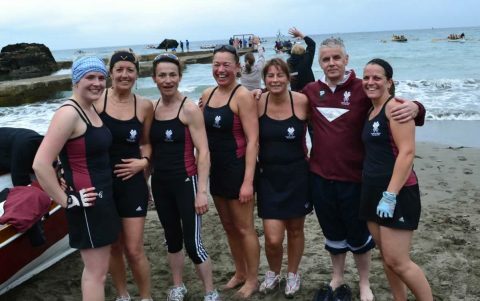 Ladies A were then placed 9th overall and Ladies B were 5th overall in their whole fleet. Men’s B finished 2nd in their heat and 8th overall. All club records for their crews. MA were 14th overall in their group, despite significant damage to their rudder at the first mark and their cox having to hold it in place for the rest of the race. Well done to Bauke for competing at his first senior event and to Vince for his quick repair job on the rudder so that the rest of the crews could still go out! It was a cold, windy, miserable day but the great results made up for the conditions.